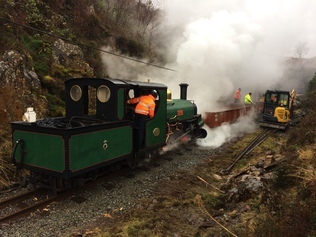 Driving trains on the Ffestiniog and Welsh Highland Railways is an enjoyable hobby. Most of the time. But sometimes, you get one of those days where your 12-hour shift starts and ends in the dark, you’re driving through horizontal sleet, the loco’s not steaming and half the signals have been taken out by a lightning strike. At such times, you question why you give up your spare time to do this for nothing. This is called a ‘Hobby Review Day’ because a nice dry indoor hobby suddenly seems appealing! From the 1930s to the 1950s, a 750mm gauge railway connected the Mongolian capital Ulaanbaatar to a coal mining region at Nalaikh. Locos and rolling stock were provided by the USSR, and included several 28-tonne locos similar to those supplied to China. 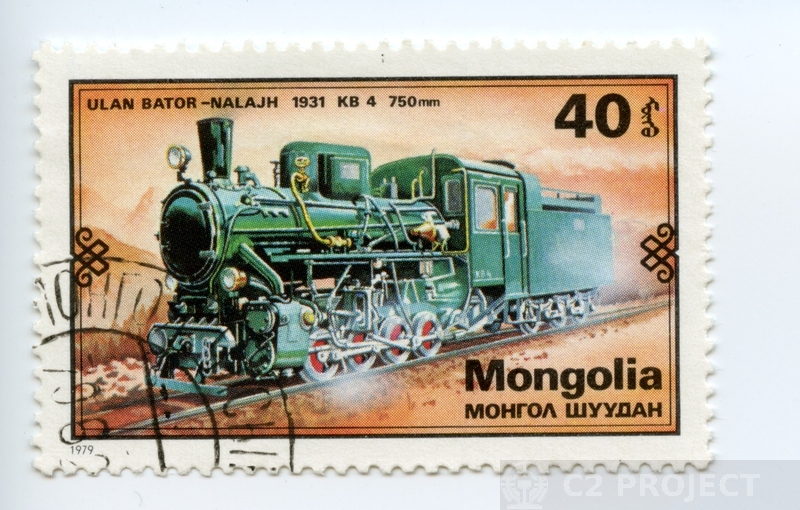 This stamp issued in 1979 is part of a set featuring Mongolian locomotives, and illustrates a Hungarian-built КВ-4. Soviet 28-tonne locos worked in many of the Eastern Bloc countries, and some can still be seen working today. 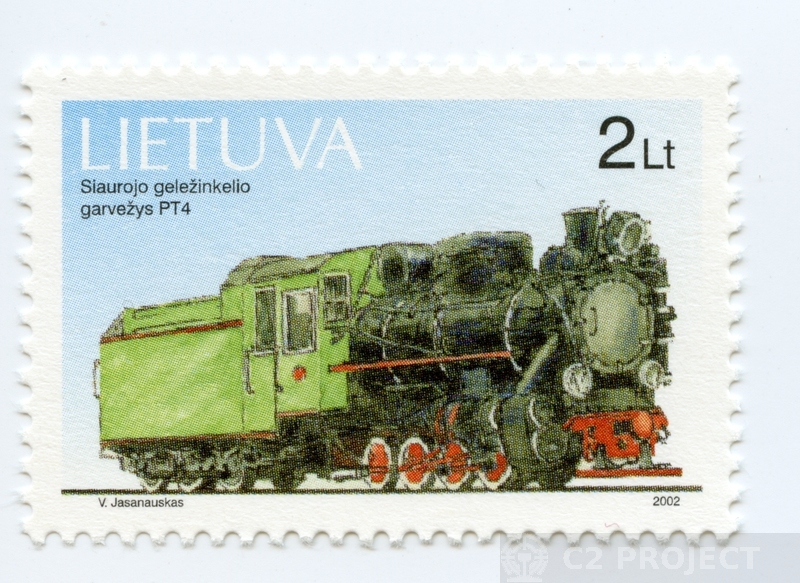 This Lithuanian stamp features a Finnish-built PT-4 loco. 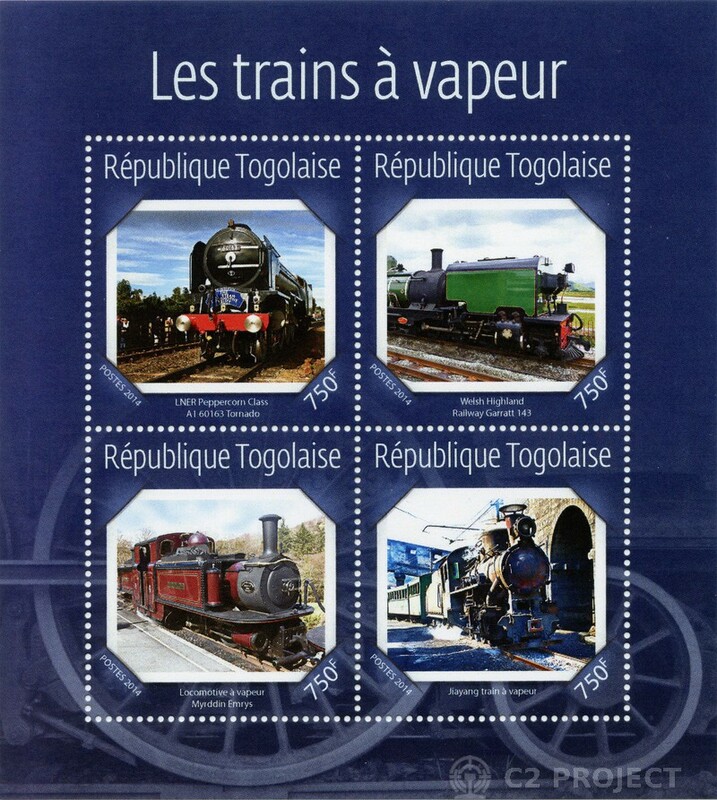 This was one of a set of two stamps featuring narrow gauge locos issued in in 2002. 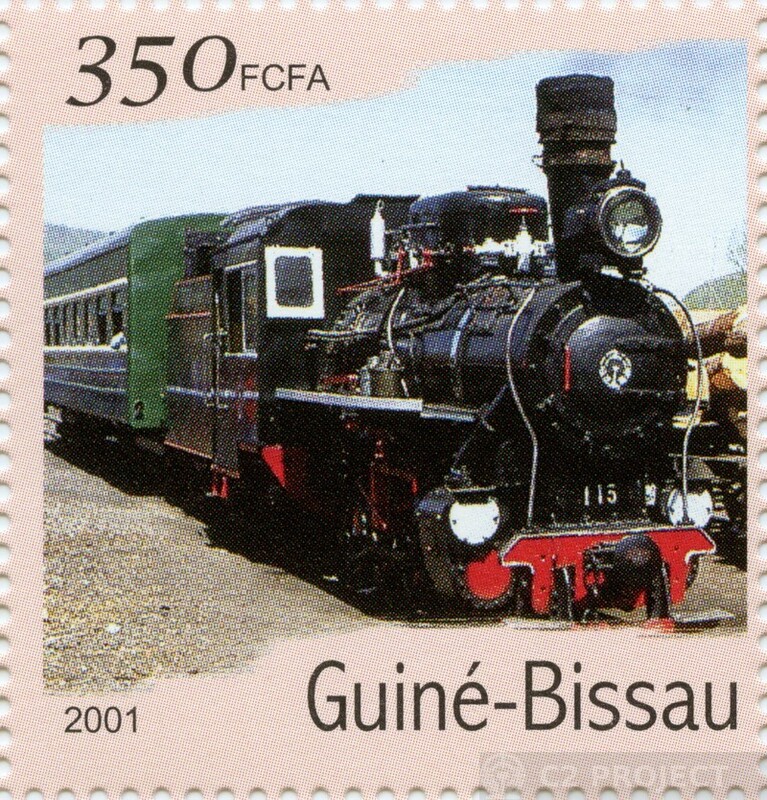 There’s nothing linking C2’s with the small West African country of Guiné-Bissau, except that they issued a set of stamps in 2001 featuring Chinese locomotives. Two were Forestry Railway C2s: 115 with the passenger coach is at Chaihe. 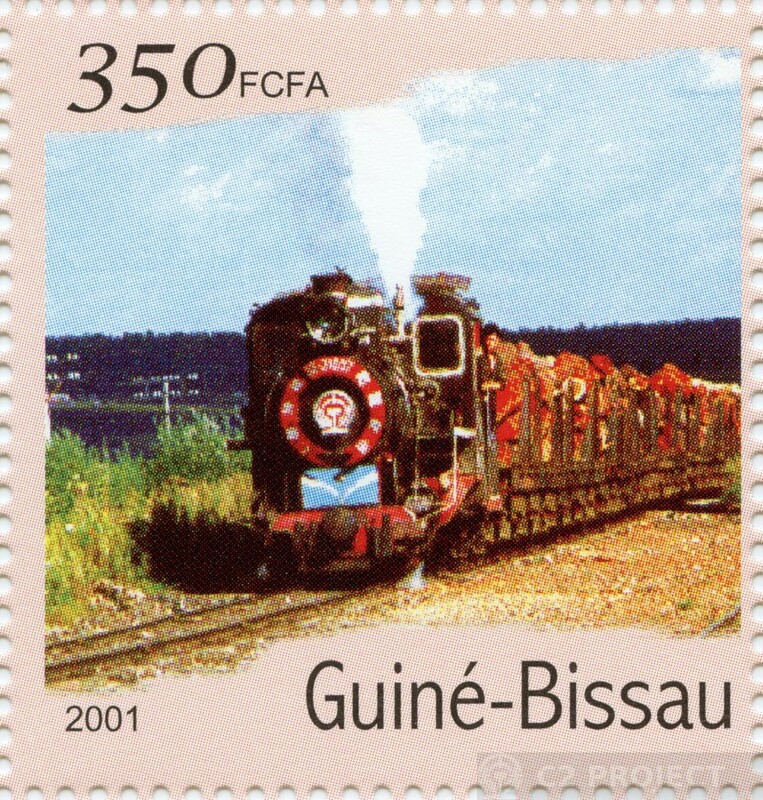 The second C2 stamp from Guiné-Bissau features an elaborately decorated loco hauling a train of logs, but the location is harder to identify: possibly Zhanhe or Tieli? 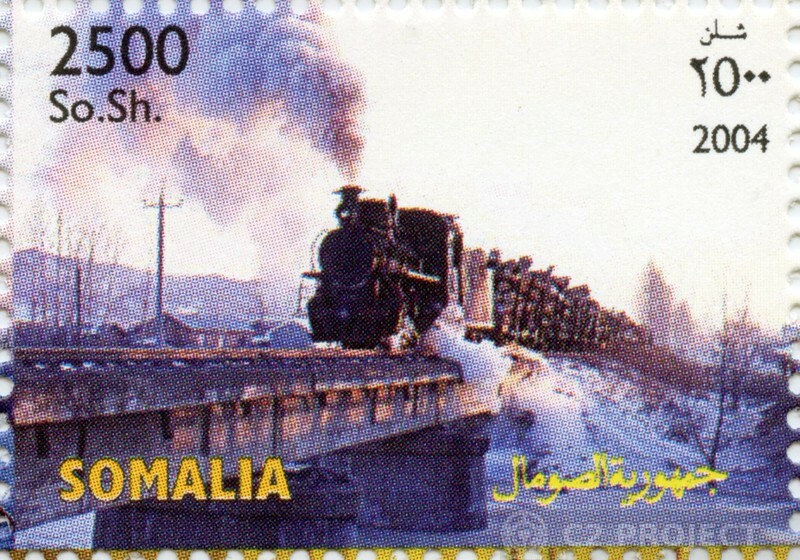 This stamp from Somalia is part of a set featuring Chinese trains issued in 2004. It shows a C2 hauling a log train on the Weihe Forestry Railway. China has provided aid to a number of African countires over many years; I'm not sure whether this had anything to do with these African stamps featuring Chinese trains? 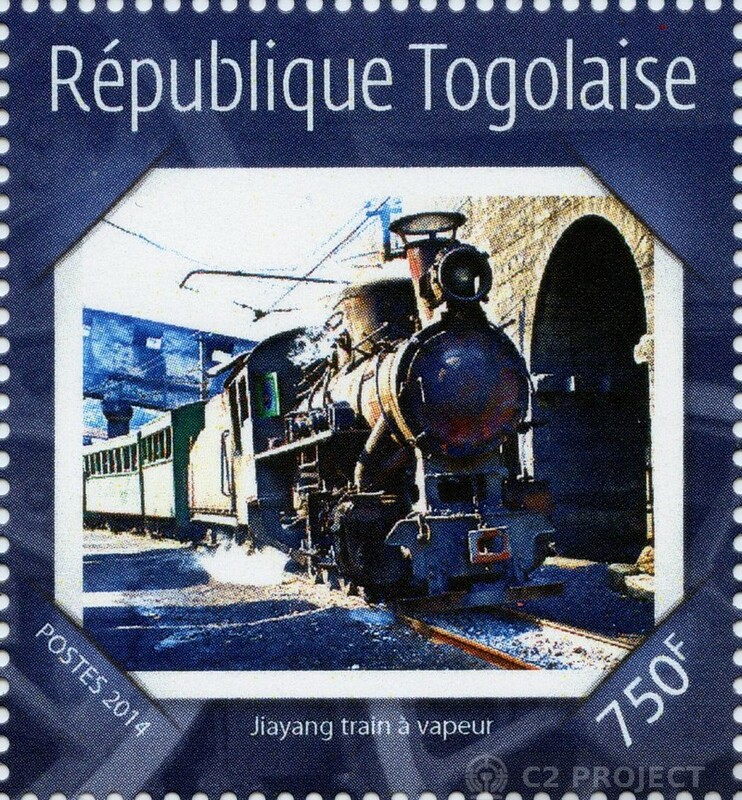 Finally, this stamp from the African republic of Togo includes one of the 28-tonne locos still at work at the Jiaying coal company’s tourist line in China (often known as Shibanxi). If there are any philatelists amongst our readership who know of more ‘C2’ stamps we could add to our collection, please let us know.